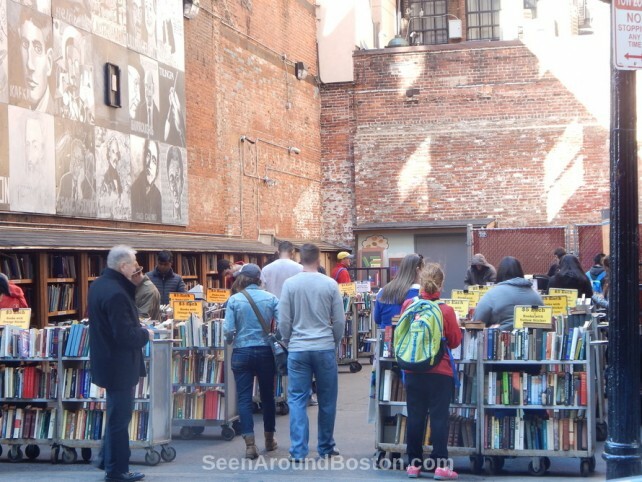 On sunny days in spring and summer, Brattle Book Shop (on west street – 3-minute walk from downtown crossing) sets up an open-air market – rolling out the cartloads of bargain books in the empty lot adjacent to the store. 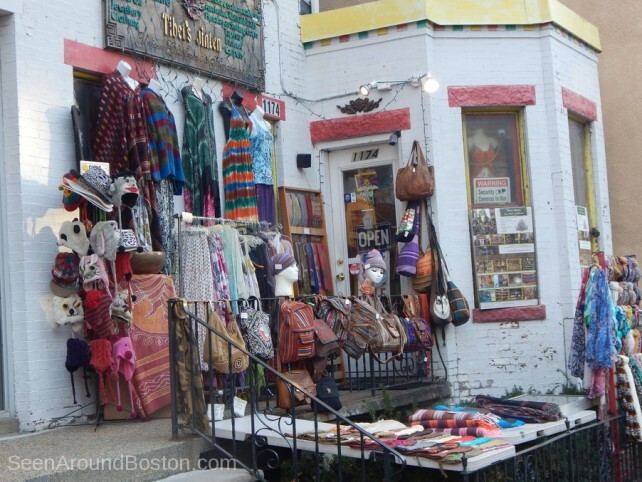 Tibetan clothing and handicrafts on display outside of the store. 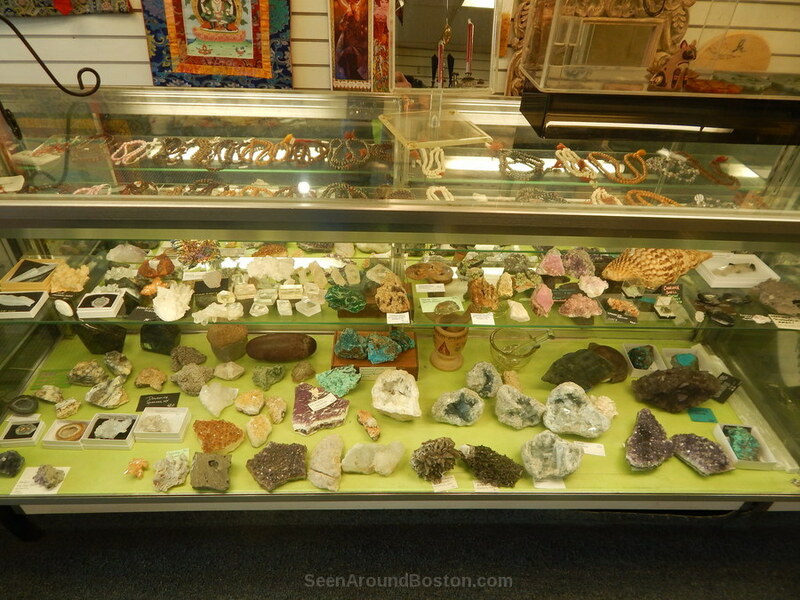 Located at 1174 Mass Ave near Harvard Square. Located at 472-480 Mass Avenue in Cambridge, The Middle East is a restaurant and music venue that supports underground and indie rock bands. 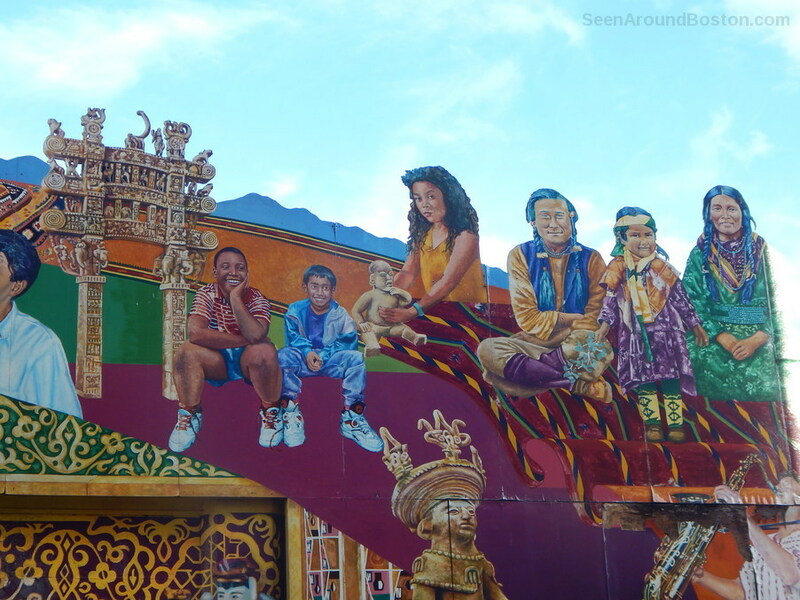 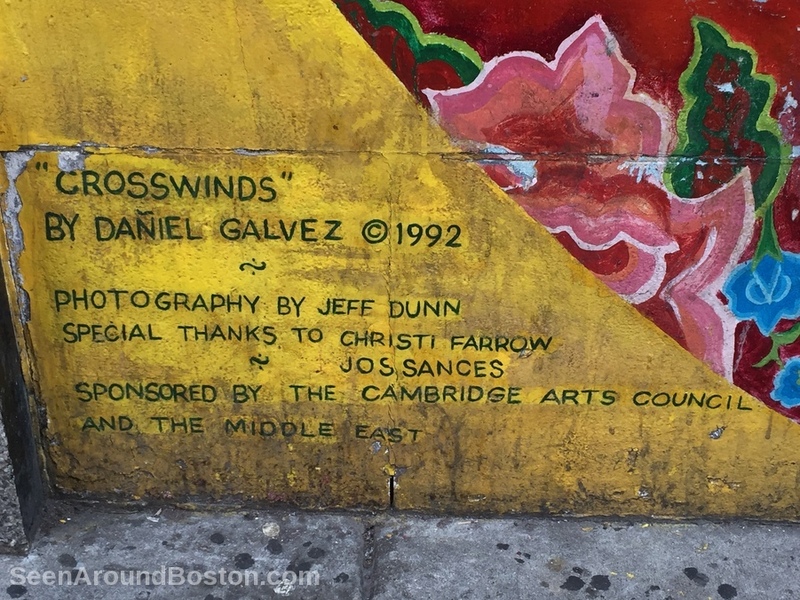 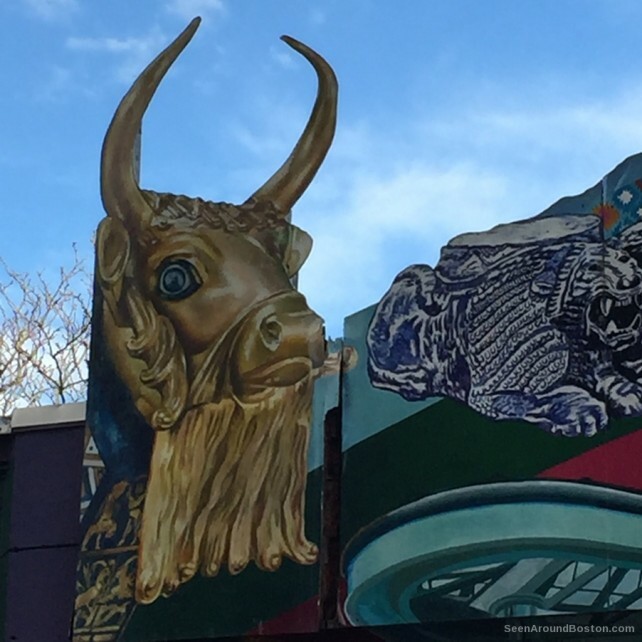 The “Crosswinds” mural by Daniel Galvez, which extends above the rooftop, is located on the Brookline Street side of the building. 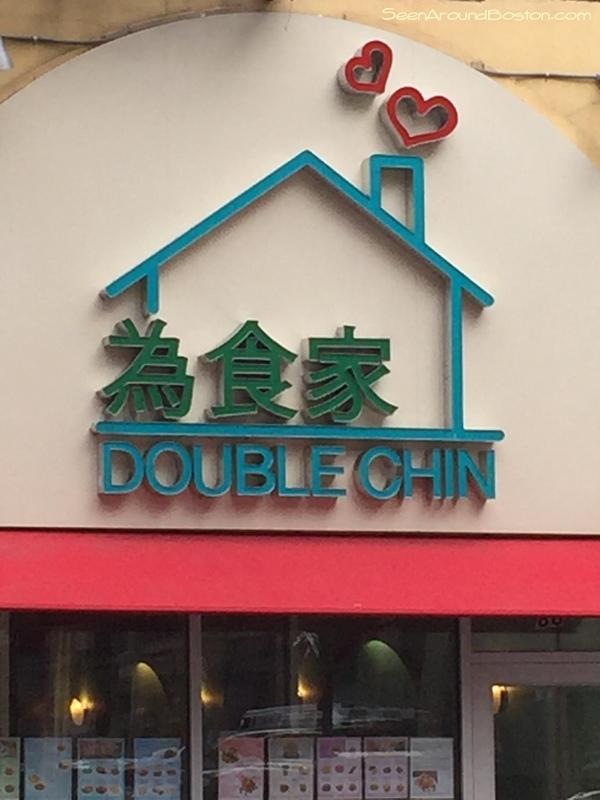 What seems like an odd name (a la ‘Engrish’) for a restaurant actually makes perfect sense, as it is owned by two sisters named Chin. Located at 86 Harrison Avenue in the heart of Chinatown. 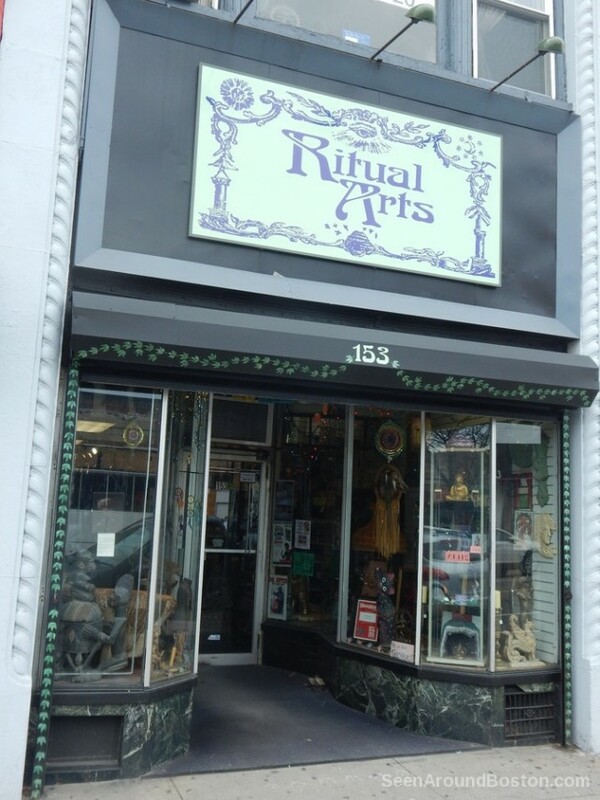 Go in and try the “Matchamacallit”. 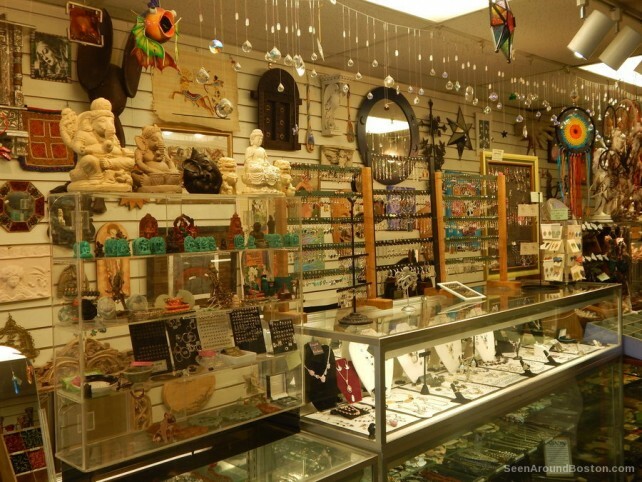 This metaphysical supply store is the go-to place for new age books, crystals and mineral specimens, ethnic jewelry and handicrafts, incense, candles, essential oils and the like. 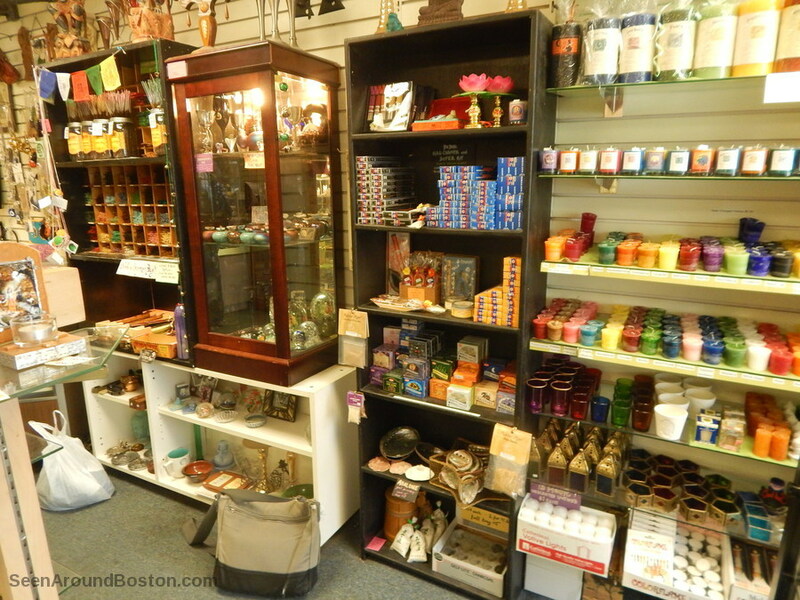 When you’re walking down Harvard Avenue on a warm summer day, you will smell the incense wafting out from their doorway. 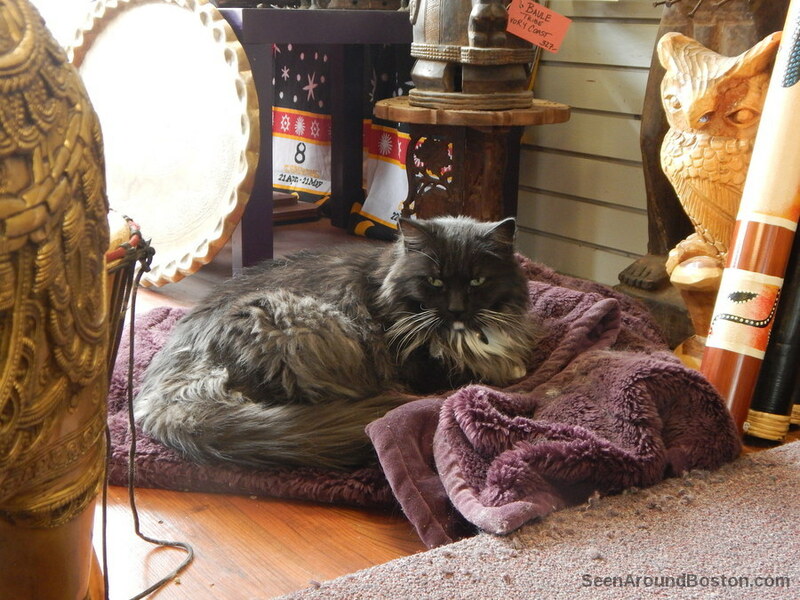 A cat named Lovebomb and an African gray parrot named Logos live here, coexisting in peaceful harmony. 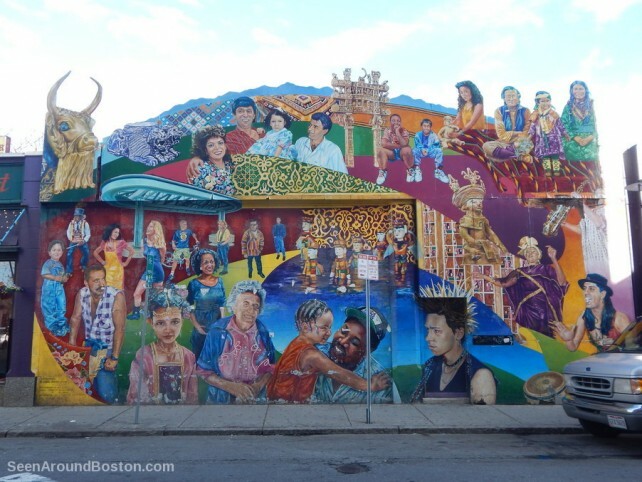 Located at 153 Harvard Avenue, between Comm Ave and Brighton Avenue in Allston.